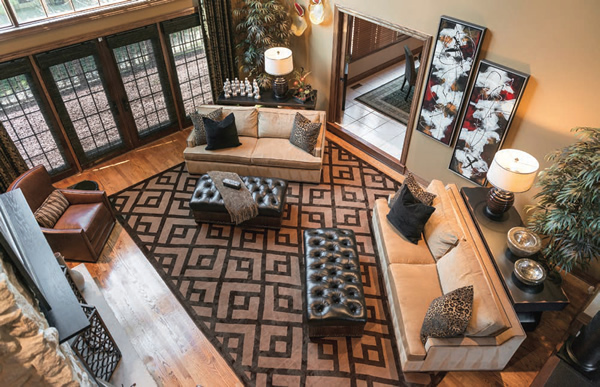 warm and livable space showcasing an interior designer’s work of art. Download this story in a PDF format. The next step was to find a designer. Cheryl had admired a commercial space in the area and inquired if the interior designer was local. 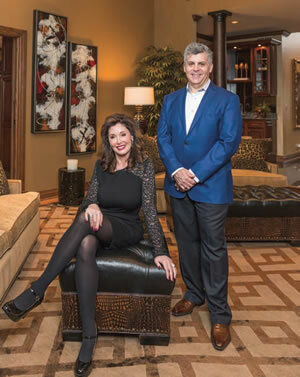 When she was introduced to Loren Reid Seaman, she was able to share her concerns and interests in creating the new home, as well as those of Howard, who wanted several TVs in the home, and a master bedroom and home office on the first floor. Loren Reid Seaman took Cheryl to the Mart in Chicago, where one piece of furniture became the lead idea to determining the look and feel of the home’s interior. Thoughtful use of the couple’s budget was a priority. Cheryl and Loren (on right) found not only an honesty-based working relationship to create a beautiful home space, but the foundation for a close friendship. Loren Reid Seaman approaches his work as a Design Concierge. He understands all the fears, costs, and concerns of buying and decorating a home. 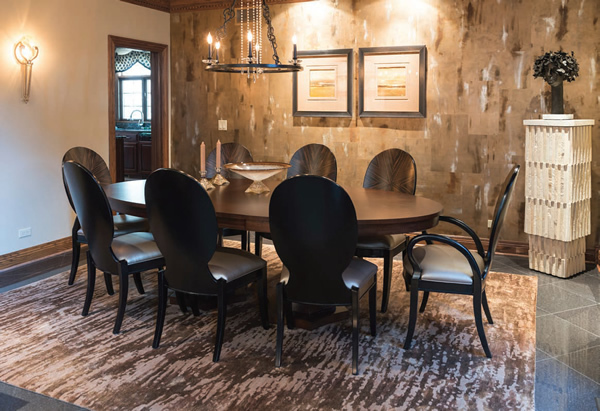 Having grown up in the trades, Loren’s background includes hands-on craftsmanship in flooring, construction, architecture, and interior design. 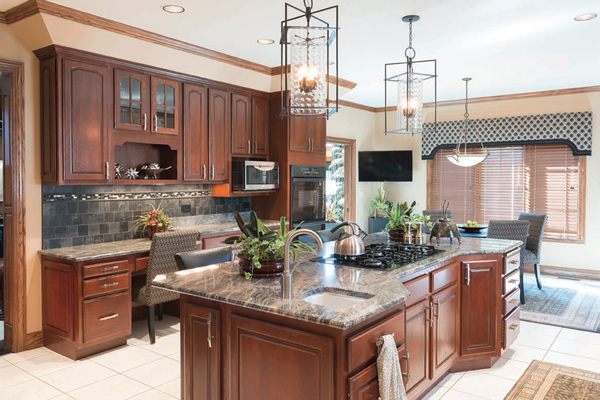 He helps his clients with a total-vision approach from choosing a home, working with the contractor on design decisions, to assistance and oversight on cabinetry, plumbing, flooring, and even landscaping as well as interior design. 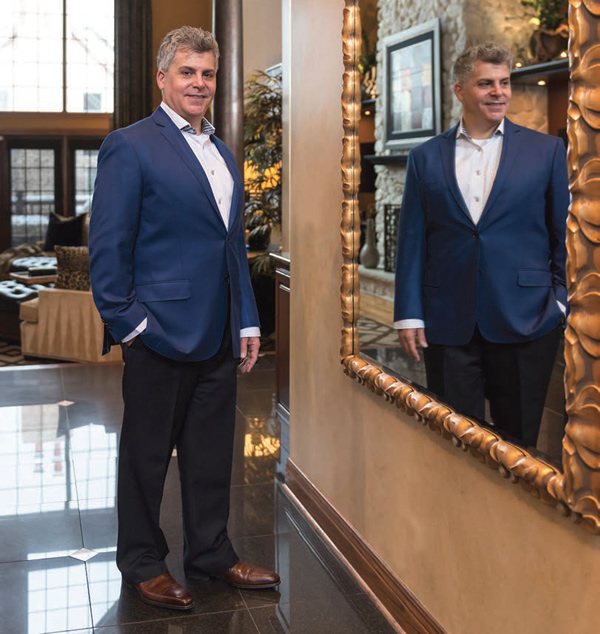 He is an advocate for his clientele and can provide service through all stages of creating your dream home. Loren Reid Seaman is Principal of LRS Interiors, Inc. and an Allied Member of ASID, IFDA, and IIDA. LRS Interiors is located at 1150 Heather Drive, Lake Zurich. Phone: 847-550-6363.